Shirts With Random Triangles: Florida St. adds four-star OLB prospect Kalen DeLoach to its 2019 football recruiting class. Florida St. adds four-star OLB prospect Kalen DeLoach to its 2019 football recruiting class. Kalen DeLoach. Image via The Savannah Morning News. Florida State has added a sixteenth member to its 2019 football recruitng class. 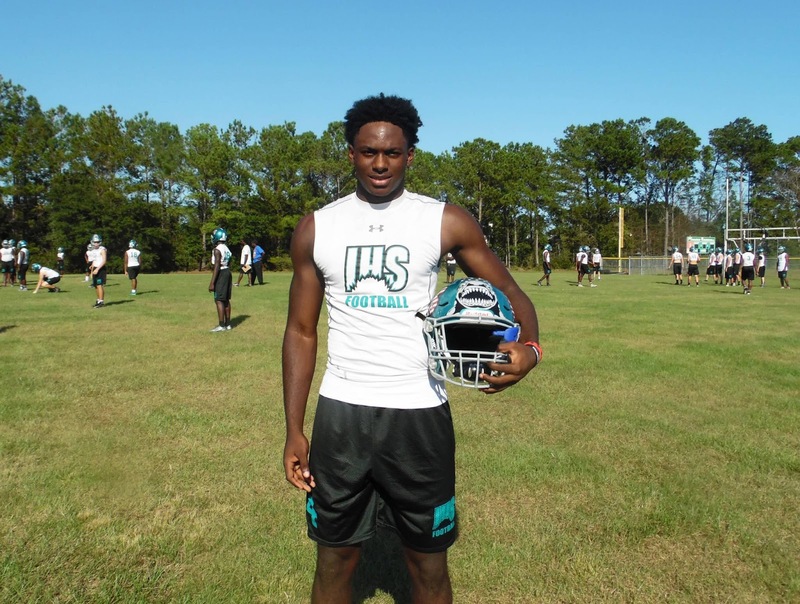 Savannah, Georgia high senior outside linebacker Kalen DeLoach announced his commitment to the Seminoles on Monday. 247Sports grades DeLoach as a composite four-star outside linebacker prospect. The recruiting site’s composite rankings for 2019 prospects rank DeLoach at no. 17 among OLB prospects, at no. 30 among prospects from the state of Georgia, and at no. 283 nationally. DeLoach attends Islands Hign School in Savannah, Ga. He stands 6’0, and weighs 206 lbs.